Listen to it. You’ll be glad you did. 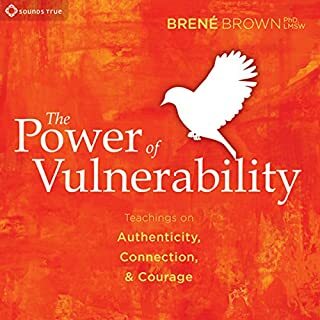 The “live recording” format catches Brené Brown at her best—a spontaneous, goofy, vulnerable story teller—and delivers a refreshing perspective based on insightful observations gathered through thorough, passionate qualitative research. The Buddhist practice of mindfulness caught on in the west when we began to understand the everyday, personal benefits it brought us. 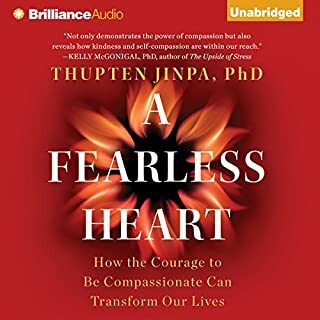 Now, in this extraordinary audiobook, the highly acclaimed thought leader and longtime English translator of His Holiness the Dalai Lama shows us that compassion can bring us even more. This book teaches the way to change the world by changing yourself. It carries wisdom that has been tested for centuries and can be applied by you, here, now. It is a classic the way Shakespeare’s plays are classics: it carries insight into the human condition that transcends culture and time. By contrast, there is a huge self-help industry out there today—run by celebrities, yogis, televangelists and new-age gurus, all glad to make a buck off your personal distress—selling you some revolutionary new approach that nobody will be talking about ten years from now. And ten years from now you’ll be suffering just the same with the help of such advice; please pardon my skepticism, it is born of hard-earned experience. Try compassion instead. This book is based on ancient wisdom and is backed by modern science. That’s what makes it special, like it’s author—a monk who left his Tibetan home land and earned a PhD from Cambridge, one of the most prestigious academic institutions in the West. And he’s founded a center at Stanford, another prestigious Western academic institution, teaching this same wisdom. This writer, a doctor with two Ivy-League degrees, has signed up there to learn more and help spread the word. Want to help someone change? This is for you. I am a physician. This book is outstanding. I got it for a close friend. 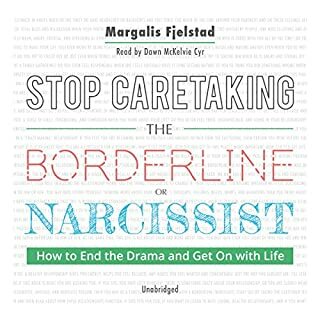 He is the caretaker of a borderline/narcissist. They met under turbulent circumstances and he helped bring order to her life. He became her hero. She adored him and brought fun and excitement into his life. He gave her a lot and helped change her life circumstances, yet the drama continued in other directions, engulfing him as well. My friend's previously calm and logical life was constantly in a tizzy and he couldn't figure out why. Now he gets it. It's not him. She has a mental illness and he can't change that. The more he tries to change her, the more the madness continues. This book is about acceptance and moving forward. It teaches you to care for a loved one without fixing them. It teaches you your own role in the madness. And that is great. Because ultimately, you can change your own behavior. And once you do, change will come. Get this book. It is nonjudgemental, unlike so much of our culture, and allows you to keep loving the person in your life. You will be the change.